Was Ubaldo Jimenez worth forfeiting the 17th overall pick? Ubaldo Jimenez became the next player with draft compensation to leave free agent purgatory, signing a multiyear deal with the Baltimore Orioles. Jimenez, who rejected a qualifying offer from his old team, the Cleveland Indians, cost the Orioles not only the money, but also the 17th overall pick in the draft. Ever since the new free agent draft compensation rules have come into effect last year, it seems as if teams are intentionally lowballing these players so that they can get the draft pick. We saw how bad it was last year with Michael Bourn and Kyle Lohse, who waited until the middle of Spring Training to sign with teams. And ultimately, those teams forfeited draft picks. Bourn went from Atlanta to Cleveland, who used the pick that they obtained in the deal to draft Oklahoma State starter Jason Hursh, Cleveland, however, didn’t lose their first round pick, as they had a top ten draft pick. Incidentally, the Bourn case drew a lot of controversy, as the New York Mets who had the 11th pick, which wasn’t protected, wanted to sign him, but felt that they would be unfairly losing a draft pick because the Pittsburgh Pirates had gotten a top ten pick for allowing Mark Appel to return to Stanford for his senior season, pushing the Mets one spot out of the top ten. Cleveland ended up signing Bourn, but instead of losing a first rounder to the Braves, they lost a second rounder. Lohse was signed by the Brewers, who forfeited their first round draft choice. The Cardinals used that pick to select Rob Kaminsky, a New Jersey prep pitcher. Going back to Jimenez and the free agents that remain, the common theme for these remaining free agents is the draft pick. Ervin Santana, Nelson Cruz, Stephen Drew, and Kendrys Morales haven’t gotten offers because teams are afraid to lose a pick for them. It’s essentially a simpler form of restricted free agency. There is no doubt that these players do deserve deals. Santana resurrected his career in Kansas City, Cruz, pre-Biogenesis was viewed as a deadly middle-of-the-order bat. Drew could hit and adequately defend, and helped Boston win a championship, and Morales resurrected his career in Seattle after a couple years of injury trouble in Anaheim. But herein lies the problem, it’s not just the draft pick, it’s the money and the risky investment too. Santana is demanding ace money after reestablishing himself in KANSAS CITY. Kansas City is in no way a place to brag about reestablishing yourself, even if the Royals did manage to get out of the cellar thanks in part to a bizarro season by the White Sox and another really bad season by the Twins. The problem with Cruz is that nobody knows if he’ll be as good after being caught in the Biogenesis probe. Maybe he’ll be another Ryan Braun, maybe he becomes Melky Cabrera. Either way, it’s a big risk for a PED user. The problem with Drew is that 2013 could have been a fluke year for him. Drew was protected by a lineup that seemed to envelop his deficiencies, couple that with the fact that he’s getting into the “wrong side of 30” territory. While this is okay for maybe an outfielder or a first baseman, a “wrong side of 30” middle infielder is a bit of a problem, especially on the defensive side of things. And of course, there’s Morales. While he did have a respectable offensive season, there are still concerns about his health and defensive ability. People are more inclined to take a look at him as a designated hitter than as a first baseman. Had Morales not gotten hurt, in all likelihood, he would be one of the first players off the board instead of the last. 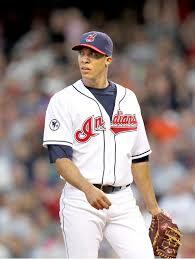 But going back to Ubaldo. Was the deal worth it? Jimenez is certainly long removed from his days of dominance in Denver. In Cleveland, he really was just a mid rotation starter, nothing special, basically the baseball equivalent of a one hit wonder. Baltimore however knew that in order to compete in the AL East again, which once again was strengthened by yet another Yankee spending spree, as well as the continuing growth of the other four teams in the division, they needed to add pitching. Getting Jimenez meant the forfeiture of a draft pick, but they went through with it anyway. From a money perspective, no. Jimenez was not worth that type of money or amount of years. From the pick perspective, certainly. 2013-2010: Tim Anderson, White Sox, DJ Davis, Blue Jays, CJ Cron, Angels, and Josh Sale, Rays. While Anderson and Davis are a long way from determining if they’re good or not, Cron may or may not need another year in the minors, and Sale has been nothing short of a bust. 2008: David Cooper, who was projected to be the next big slugging first baseman/DH, was a major disappointment in Toronto. Basically a AAAA player, he recently signed a deal with the Indians. 2007: Blake Beaven is another one of those forgettable rotation pieces. His biggest claim to fame was being included in the Cliff Lee deal which sent the former ace to the Texas Rangers for their 2011 World Series run. 2006: Matt Antonelli was supposed to be one of the big middle infield talents for the Padres, almost what Stephen Drew would have been had he not been injured. However failure to be consistent coupled with lack of opportunity led his only major league experience to be a September call up. Afterwards, he bounced around other teams’ minor league systems, but failed to latch on and retired last summer. 2005: CJ Henry was the first of Derek Jeter’s potential successors, but he just couldn’t hit. He was packaged in a deal for the late Cory Lidle and Bobby Abreu for the Yankees’ 2006 postseason run, but failed further to establish himself in Philadelphia. He quit baseball and played basketball for the University of Kansas with his more famous brother, Xavier, who now plays for the Los Angeles Lakers. Henry’s back to playing baseball now, albeit it’s independent ball in Evansville, Illinois. 2004: Scott Elbert was drafted by the Dodgers as a pitcher. Injuries derailed his effectiveness and turned him into a two pitch reliever. While he’s not the best reliever on the Dodgers, he is an okay option out of the bullpen. So in a sense it probably was a somewhat good idea. Losing the pick means that another team, the Royals, will be saddled with the bad pick, while the Orioles will maybe get immediate contribution from Jimenez.